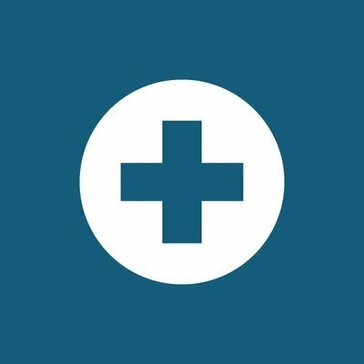 GoToAssist is now RescueAssist. RescueAssist offers market-leading remote support and ITIL-based service desk management to enhance IT operations and reduce cost. Key new features include lightning-fast connection time, right fit support including chat, remote view, and file transfer, in-channel support (integrations with apps like Slack), and mobile device support + camera share. This is a remote support service which allows for admin settings to be used. In many cases you will not be able to run installations on computers for customers, however, using this service there is no problem using admin settings with the customers approval. It had been confusing to keep track of multiple shared accounts. Logging in and adjusting passwords/permissions has been difficult at times. They are a great remote support service. They are even bringing on the option to support and view from mobile devices. I would recommend that you reach out to them to discuss if your company could benefit from their service. The need to remotely assist, teach, and resolve customer issues. This will allow a fast and easy way for you to reach out to your customers to support them. The main advantage of GoToAssist is its simplicity in everything. It is easy to install, configure and use. It has good functionality and many useful tools such as chat, file transfer, password storage and much more. Excellent ability to automatically connect to remote computers, just save them in the list and connect when you need it. When we first started, the program's value seemed to us too high, but after working for a while in it we realized that the value is justified by the huge functionality. This is a good product to support customers. It saves time and allows solving many problems. If you need to connect to remote computers or you need to solve any problem without leaving the office, try the GoToAssist, I hope it does not break you. The main of my work programs. With its help, I can quickly connect to remote computers. Very often my clients have problems, they are different and there are both complex and simple. But they can not be solved by phone, so I use GoToAssist in my work. "Nicely designed program, connectivity can be difficult "
The best features of GoToAssist are the interface, quick deployment, and easy session sharing. All of these features make for a much more pleasant experience as compared to competitors. The interface for GoToAssist is also easy on the eyes and doesn't have much clutter. The only problems with GoToAssist's products is the connectivity reliability and the LogMeIn, Inc acquisition. The remote support application does not handle intermittent connections very well and tends to disconnect easily. Also, clients sometimes lose connection and reinstalling the client side application is the only way to resolve the connection. One last dislike is the fact GoToAssist was recently acquired by LogMeIn, Inc. There have been changes already that have caused issues with both the client side and technician side that I don't approve of, mainly the speed of connections and the uptime of the overall service. Time will tell if any more problems arise from the acquisition. Since GoToAssist/Citrix was recently acquired by LogMeIn, Inc, I recommend waiting a couple more months from this review date before switching. There are changes that LogMeIn, Inc is making that may cause problems down the road. However, only time will tell about this. Our business relies on remote support to assist out customers with technical issues. It makes it so that we are not required to visit their premises. Since we have many customers that we support, this is almost a requirement to be able to keep our workflow simple and easily managed. "Easy remote support tool for all skill sets"
GoToAssist makes it easy for you to provide remote support to your users and clients. It has a small footprint installer, and easy for users to run and install remotely. Could have a little more information about the machines your remote into (ip, hardware specs, etc). Unattended support could be a little more customizable on specs and data from device. Displaying of internal and external IP of devices. Easy to use, Pricing is fair, and competitive with others. Small footprint installers for single connection, and unattended support. Users of all skills can easily connect to one webpage, enter their name and support key, and run the GoToAssist launcher. The odd time you can run into issues with versions of web browsers when trying to launch. We currently use GoToAssist to remote into many devices across 25+ offices, with users that have different levels of computer skills. With the ability to remote in quickly via unattended support, and ease of use of end users, less time is wasted. "Great tool for tech support"
Easy to use program to remote into clients computer, it is secure and useful and generally just works. Color scheme is pleasing and easy on the eyes, especially the dark mode. Love the ability to set graphics options and draw on the customer screen. Sometimes doesn't support security features very well and logs support out without warning, forcing us to walk the user through doing things on the computer to get logged back into the compouter. Sometimes we can see the screen but can't click anything. Users are often confused by the black wallpaper on the screen when it downgrades the graphics a notice message would be nice to let them know the screen may not look the same to allow the connection. It's a great program and very affordable from what I am told compared to other products in the category. We log into machines and install software, troubleshoot, and scan computers for malware, we also install hardware to the system. "Daily User for Connection to Client Desktop PCs"
With GoToAssist I can easily and quickly connect to my client's PC and see and control their desktop. As I work in support it is imperative that I am able to accurately understand the issue I am being asked to resolve. By connecting and interacting directly to the client's PC I am able to not only see any errors present, but I am also able to watch the client as they go through their process. By doing this I am able to track down any procedural issues much more quickly than by phone calls or emails alone. It is also important to use GoToAssist when working with a client with Windows 10 OS as I can connect as a service and am thus able to pass administrative access through my actions. There really is not much to dislike. The most delays or frustrations I experience are related to walking the client through the installation of the application. It is a little different for each browser. Most of the time it is not a big issue. Also, there are some times when client-side IT has locked down their access to the connection GoToAssist utilizes. I recommend using GoToAssist because it is easy and reliable. It is also not a system resource hog. It is easy to install on desktops. I troubleshoot errors for client's using the software my company sells and supports. Having our own GoToAssist portal means our clients do not have to go to other websites. GoToAssist allows us to have the client go to our own website and enter a code for connection - keeping our brand in front of them. sometimes certain commands will not replicate on the remote device. Can be problematic with computers using multiple displays in getting opened programs/windows to show up on the one display you can see. helping clients resolve local issues with our software and programs remotely while being able to see the actions of the station in use. Client satisfaction in getting the problems solved much faster. "Great Product Update - All in one!" I have used this company software for many years, back when it was LogMeIn Rescue. Their recent merger combines many products into one easy-to-manage admin console. The login process for my users is much better now having 1 place to login rather than many different login sites depending on the product you use. I love the connectivity of it across platforms, the ease of use, and how simple it is for a non-tech person to get instructions to run the applet to allow me to connect to their system. Very user friendly! There is only 1 thing I dislike, which is not directly about GoToAssist anyways...it is Microsoft's issue with elevated UAC prompts that are not able to be controlled by the remote technician. There are a few windows also that cannot be controlled, such as the Task Manager, elevated CMD's, etc. I would like to see a button created in GoToAssist that will close such a window that is prohibiting me from controlling the remote system. Once one of those windows is opened, you loose complete control and cannot even close that window, therefore are required to have a user at the system to close the window, or click off of it, so you regain controls. Try it. Don't ever believe it is just another option - this is THE option. I have done tremendous amounts of testing and demo's over software solutions for remote sessions/support and GoToAssist has combined all of the needs and wants from other software and resolved all the known issues that others have with compatibility and how to start sessions. This software may never need enhancements, because it can do everything already! We utilize it as our primary means of providing technical support to over 4,000+ travel agents working from home around the country. We maintain our own custom platform that is proprietary for our organization. At times a system has an issue connecting and rather than asking questions and figuring it out via phone call, we provide this option for remote technician support and we will connect to their system to resolve the issue. This solution has diminished the amount of time per phone call by allowing us to control the system ourselves and avoid lengthy discussions. It has also allowed me to personally provide remote support from anywhere I am located. While other software solutions require you to be at a computer to connect to another system - GoToAssist does not have this limitation! I am able to initiate remote sessions from my computer, tablet, cell phone, anywhere! So regardless where I am at, when my customers require technical assistance, I am there to help and connect! I've done this from my Android cell, and the user interface is awesome and never cumbersome! "Great solution for small to medium sized businesses"
It's easy to get users connected to a session. They need only to go to a predetermined hyperlink and enter a provided support code. Being able to point them to a premade link is very useful as it saves time and it makes more sense to an end user. Session management could be better. If you're working with limited licenses, it's easy for a technician to leave a session hanging open even if there's nobody connected to it. Closing out of the application doesn't close out sessions, and it doesn't appear to have an option to edit timeout periods. There's also no way to quickly figure out who is using the sessions with standard access. Due to the session management issue we have, get extra licenses if you plan on having more than one person use the software. It's very easy to tie up all of our licenses in sessions unintentionally. Also, I'd recommend testing it out with multiple people during your trial period. We really did like Bomgar a little bit more, but it wasn't worth the price difference. We frequently use this application to connect to remote users to help desk technicians or technical analysts to resolve their problems quickly and remotely. Not having to deal with UAC and permissions issues that come with remote support through Skype is a huge plus. "Need to authenticate remotely as an administrator? " GoToAssist allows you to authenticate as an admin while in a remote session. Normally in a remote session, the remote screen would be obfuscated but this solution does not. Also, if the request for remote access is not answered, the screen locks the active session but allows another account to be used. There is a mobile app for the Android (we don't use Apple products) that allows administrators to view the OS and it is free. The method of updating the clients (example, version 3.2 to 3.3) is not always smooth and may cause a delay. There currently does not seem to be a way to force the update a head of time. The update seems to only occur at the time of connection. Also, The mobile app can only an "over the shoulder" experience. Once connected, there isn't any remote access for smart phones. Pros: GoToAssist allows you to authenticate as an admin while in a remote session. Remote access, remote installation, and service requests. As before, the greatest benefit is GoToAssist allows you to authenticate as an admin while in a remote session. While it does have an app for smartphones, it is limited. Installing a plug-in for Non-IT users can be a challenge. Also, I would like to see a support for Tablets specifically IPad, Hopefully the developers can incorporate GoToAssist which can be compatible via tablets. Maximizing Efficiency in terms of Support time, I have noticed when using GoToAssist I am able to connect to my customer's computer right away and resolve any issues they are experiencing. Secondly, Using the Chat window to communicate with customers incase my phone gets disconnected I still have the ability to communicate with my customers to get the issue resolved right away. "A Remote Support Solution for Technicians and IT Managers"
GoToAssist gives you the ability to record a support session for future reference and/or compliance and support ticket systems. Cost effective by comparison to other similar products. Easy to set up and use and works flawlessly. The pricing is affordable. Ease of use and provides instant access with the unattended support remote access mode feature. GoToAssist reporting features need revamping if you are planning on keeping records of your connections for keeping track of your ticket support system. Configuration settings are very technical and requires knowledge of remote access technologies. If you are looking for a reliable IT customer support platform to manage incidents, problems, changes, releases, configuration, etc. take your time making sure you take some training from the vendor. GoToAssist has many features and knowing how to use them will make you more productive and reduce IT costs. Remote access for in-house IT department to manage employees PC's remotely. It is easy to use for users without much computer experience. "Best screen share app on the market"
Some of my users are distrusting of the program because it has been used by "Microsoft Support" scammers in the past so some users don't want to use it. It allows us to remote into a computer and see what the users sees. This is a great tool for also showing the user how to correct the issue in the future without our input so they feel like they are getting two services in one. 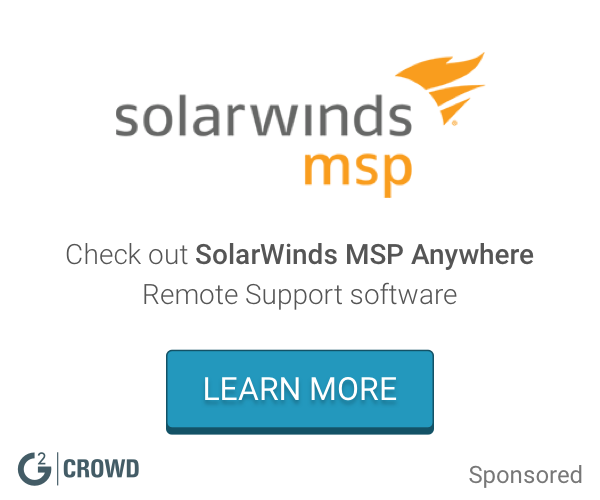 "Possibly the best remote support solution available"
Consistently just works. Allows for submitting a reboot to the remote workstation, user reconnection, sending files, etc. Unlike many of our previous solutions, it does not lose remote control when a "Run as Admin" window is active. Occasionally is unavailable during business hours - usually when both GoToAssist and GoToMeeting are down at the same time. It's frustrating to pay for a solution which isn't available when you need it. As with all remote support solutions, it requires the end user to download an executable and run it in order to grant the remote control. Some users simply don't have permission to download and/or run applications that aren't certified by their IT team, and that can be a roadblock to using GoToAssist in some cases. GoToAssist is toward the top end of the pricing for remote support packages, but in my experience with a reasonable number of solutions available in the market it is the best thing available currently. If you do support all day and are using another solution, try out GoToAssist and see how much easier it is to get your job done. We provide remote support on business software packages, so we use GoToAssist as our primary remote connection system. It is also occasionally used to show users how to do things on our systems. "A Real and Genuine Screen Sharing tool with high end security." One of the main reason why GoToAssist is best in class as its easy to use for customer-end.In other words, when we connect with an end to end customer it's very easy to explain to the customer how to log in and connect to the remote server in this app.Their security is high class and after the session end, there are no logs or traces left on the customer's computer.Its proven and one of the most trusted remote software from many years used by corporates and Tech Support Companies. The only minus factor I found after using it for a couple of years that sometimes on slow connections it gets disconnected which should be fixed and make the tool more tiny and accessible on slow internet connections too. We will recommend it to every organization, individual or Tech Support Professional as its the number one tool for many years and secure. We have used it for commercial and personal purpose as when dealing with an overseas client its way to difficult to guide over the phone or email, so used it for client tech support as there is no need for the client to download any software.They can simply go on any browser and connect the remote session. This company software had been quite a useful handling tech support clients and providing quality tech support. user friendly and comfortable to the user. i would recommend this to my peers so they can be benefited with this amazing tool. professionalism is the synonym for their service really appreciate the way team works together. Hope everyone one will have same experience like me. Thanks for giving me this opportunity. It hangs occasionally but overall good . We all have so many apps together on same platform that might be the reason of hanging it. Hope with there upgraded module it will be improved too. Thanks for giving me this opportunity so I can share my personal experience with my peers. its helpful and service desk is awesome. I really appreciate teams involvement and professionalism to get issue resolved as quickly as possible. I use this service for service desk support and remote support mostly. Thanks! Hope this will help new users to opt for it. My system issues- everyday i am stuck with some new problem .. it helps me to get quick response and help i need. Its amazing service for remote users and helps to get issue resolved quickly. "Great software for little and big companies using remote technology"
This is a software name that almost everyone has heard of making people aware that it is a legitimate software. Some of these software names can be sketchy if the employee hasn't heard of this before. It makes it easy for the person to log in without having to really download any application. The uptime is almost always 99.99% percent. I think that I have only had one outage or two within the past 5 years of using the software. Its very reliable and can be used in mobile technology as well. Its very compatible that way. It has really come a long way. It is really more than just a remote software, it can be used for multiple things such as monitoring the server health. The software can also be used for inventory management allowing to see which the computer is on the network and which is offline. The third is that the help desk can assist while the person isn't even there, not having to authorizing th person to look at the computer. The sofware can provide alerts for you for various items happening on the network. There are many more things that can be done with this software, so I would hightly recommend it. When the administrator installs it on the computers of workstations making it readable for users, the user may or may not have the ability to disable the person from coming into the computer during work hours. This can be a bad thing because if the help desk or administrator needs to assist the person, and the software is being blocked by the employee, this can make things even harder as it is. The software doesn't allow for more than two sessions to happen at the same time. While you are helping employee 1 out, employee 2 has to wait until you are done if he or she needs remote assistance. When needing to take part of admin prompts, the software doesn't allow the help desk or administrator to input the password, it prompts the user making it difficult to over-ride the ACU prompts. This can be very frustrating for the help desk support and the person being assisted. If you are looking for an easy way to get the setup going, this is for you. If you are looking for something without audio or video, this is for you. As of right now, GoToAssist doesn't have the capability to be doing video and audio meetings. This is a great way to assist employees who are on the run using mobile technology to be able to get assistance while traveling especially a salesperson. The software also allows you to reboot the system the keeping the same connection without having to redo another session with the person. "Simple and easy program to use"
I have used several different applications for remote connections and like GoToAssist the best. It is easy to collaborate between colleagues or vendors and view each others screens as needed. The ability to switch between the screen makes this program very easy to work with. Just need to click on another user's icon, allow access, then that person can start showing their screen. The circles for names are a little confusing when there are several people with the same initials. Having a picture or some other way to identify the users would be nice. It takes a moment to figure out what user is what color bubble but once it has been determined, it is easy to select the correct person or yourself and continue with the remote session. Multi-user collaboration and remote access to client's PCs. This software is one of the easier ones to collaborate with multiple people. If the icons for each user were better at identifying which one belongs to what user it would be even better! Very easy to set up. I like the Remote Desktop feature which allows you to access a customer's computer even while they are not around or online. Software was easy to download and use. Also like that you have the option to purchase a "Day Pass" for only $6.95 as I do not need to use this software very often so wouldnt see a ROI if I had to buy at full cost. ***UPDATE: I just received an email from Citrix on 12/11/16 stating that they are discontinuing their Day Pass offering which is VERY DISAPPOINTING. Thought others out there should be aware. The admin console is somewhat confusing. Had trouble adding users and understanding what a "user" technically is. I assumed they were customers but are actually agents. The cost for the full product is pricey AND THEY JUST RECENTLY DISCONTINUED MY FAVORITE PRODUCT OFFERING WHICH WAS THE ABILITY TO PURCHASE A DAY PASS INSTEAD OF PAYING FOR AN EXPENSIVE MONTHLY SUBSCRIPTION OF $69. They do not advertise the Day Pass option as I am sure they want to push you towards the more expensive monthly subscription. I seemed to stumble upon it as an option somehow but strongly recommend going that route if you just occasionally need to provide remote support and then you can also just expense the cost of the day pass to the customer. "GoToAssist for Academic Software Support"
GoToAssist allows for quick remote connection to any users I require working with and provides both a code and email method for me to create a connection. It also does not limit me to the software that I am supporting. I have full access to the users machine. Compatibility with MAC OS is limited in comparison to Microsoft. Sometimes the copy and paste function does not work and something I copy on my end will not paste onto theirs or something I copy on their end will not replace something I recently copied on my end. I use GoToAssist to assist users with hands-on issues regarding my companies academic software. "GoToAssist is an excellent option for remote assistance needs." I like having the ability to easily access a client's computer by just having them click a simple link. I also like the unattended access option as well as the ability to run as a service which allows reboots and switching logged in users. On rare occasions, users will have difficulty joining a session. There is a trial available that we took advantage of when making this decision. You should take advantage of the trial and test as thoroughly as possible in your environment. Before GoToAssist we were using another product that was plagued with problems. It was very difficult to reliably get connected to another computer which majorly slowed down our ability to troubleshoot IT issues. With GoToAssist we have virtually none of these issues. We are able to reliably get connected and work with a end-user 99.9 % of the time. "GoToAssist makes remote sessions easy"
GoToAssist allows me to remotely connect with another customer and troubleshoot issues. It also makes installing or removing software and programs easy as it allows for large file transfers. It also provides mouse control and multiple screen sharing. I do not like that you can not schedule meetings in advance with GoToAssist. All sessions must be created at the time the meeting begins. If you are using go to meeting as a meeting service I would recommend using gotoassist as well. I am able to install software and services on our customers servers. It allows the transfer of large files and does not require that I use another source for transferring(i.e .Google Drive or an ftp). "Easy to use remote assistance"
GotoAssist would create a web page that the remote associate can link to and type in their name and the session ID to connect to the support department technician. This is easy for any level of affected user to connect for remote support. GoToAssist has been known to have some video issues between the remote and connecting technician's machine. Specifically, the mouse from the remote machine does not always align with the mouse on the support technician's machine view due to varying video issues, like resolution differences. Although this issue occurs intermittently, this can be a challenge to provide mouse-driven support while connected remotely. As with all new software, be sure to test this software for a trial period and verify its benefits for your organization. When connected with GoToAssist, service techs are able to perform live software diagnosis and troubleshooting in the remotely-controlled session. As with all new software, be sure to test this software for a trial period and verify its benefits for your organization. I have used quite a few remote support solutions and I like this one the best, minimally invasive along with giving to opportunity to interact through Windows admin windows without requiring a user to be on the other side of the session. Too many different GoTo programs that don't integrate or work with each other, even among the GoToAssist family they have different solutions that wouldn't talk among themselves. If all you do is one on one support sessions with customers I can't recommend this tool enough, especially if you have customers that are fearful of someone they don't know just being able to login to their system at any time they can be assured this program does not have that ability, once you are disconnected from a session your computer is not accessible to the technician any more. We are able to to help customers solve software installation and other computer related ailments without having the customer be tied to there desk, because the technician can interact with the computer even it Windows is displaying an administrative prompt. I prefer GoToAssist over GoToMeeting because it's easier to take control of the screen without permission to bypass having to get permission from a less computer savvy user which sometimes takes a while to get them to click the right buttons. i like that you have the option to email a code or a direct link to the application. In my 5 years of using this I've only received one error message. This is a reliable program that most support techs in my company use multiple times a day. Kind of a slow start up but it's to be expected. Other than that I don't have any real complaints about the application. I would highly recommend. Makes my job much easier. It reliable and easy way to remotely support a client. We use GTA for everything. To help them with our software or our Client Central. Most of us use it multiple times s day to assist pour clients. We chose GotoAssist because of it ease of use in allowing us to help remote users. Increasingly, we have have more people on the road and travelling as well as working from home. GotoAssist has become our primary tool for helping the users without them having to come into the office. It allows us to diagnose and fix issues remotely which helps our users save time while allowing us to expand our support. Although the subscription costs can be a little expensive, the time is saves us more than makes up for it. Also the service is always up and available. Don't let the pricing turn you off. You will more than make it up in time saved assisting users. We have been able to expand our support footprint to our mobile and remote users while at the same time providing better service. Our users no longer have to bring their PCs and Laptop's in for service. We can solve most problems in a shorter time and keep our users productivity time up. "Easy Unattended Sessions for Remote Support"
Using unattended sessions is very easy, and has most features that we need while accessing a client system remotely. Setting up unattended sessions is difficult for some end users, due to the way they access the system we need access to. Unattended sessions: If your end users are tech-savvy at all, it's very useful -- if they connect to the machines that you need to access by using RDCs or other methods, and are not tech savvy, and do not have IT consultants other than you ... you may have a tough time. The attended sessions are simply easy and I have no complaints about those. We use it for remote access to client systems. It is much easier than trying to coordinate with users, and more convenient for our remote staff than other methods like VPNs and locked down RDCs. "Good app, but it needs some polish"
The best thing about this app is the fact that you can direct a user to go to the site and give them a code to login. You can also setup an unattended session. The controls of the app can be confusing. Especially when the end user has multiple monitors. GoToAssist is a great tool if you need temporary remote access to a client or end user. It is a very useful tool as it is easy to use and gives near instant access. I use this most every day in my workplace. I use it mainly to troubleshoot issues remotely. It's a great help especially when I am unable to be at the computer itself. And the way it is accessed is the best. Direct the end user to the site, and in just a few clicks, you have access. Convenient to use when dealing with users. They click a link and you can connect to their machine and look at issues real-time instead of relying on descriptions placed in Trouble tickets or working through an issue on the phone with remote employees. No connection issues with users across the country. There wasn't much not to like. It does what it's intended to do very well. If you have several employees who are remote or out in the field; this tool is for you. I worked on a migration where a larger corporation acquired a smaller company and migrated them over to their network. There were many small issues that had to be resolved with users who were out in the field or in remote locations and this tool was a blessing. I was able to connect to their laptops no matter where they were in the country and resolve hundreds of trouble tickets with GoToAssist. "GOTO Assist, best screen sharing app i ever used"
the best part about GOTO Assist, is that it always works. i generate a code, pass it to the person who needs assistance and im connected to them, every single time without issue. "Great tool for assisting customers online!" GoTo Assist helps our representatives show a customer how to use a feature on their own computer. We use this tool to help customers who struggle with verbal or written instruction, and also to capture information for bug reports. It would be helpful if we could record the session to send to the customer for reference, including audio. Right now, we use a separate tool to capture video while using GoTo Assist. It would be much easier to have this in the same place. I would highly recommend this program to anyone who needs to provide remote support. We have never had any issues using GoTo Assist, and it has helped us to better aid our customers. We are now able to resolve bugs more easily and quickly, since we can see the problem firsthand. Customers can also be assisted more quickly when they need hands-on assistance. "a great low-impact remote client"
it's an easy way to connect to users. email them the code, have em run the software, bing bam boom, you're on the PC with the ability to copy-pasta from your PC to their clipboard, can run-as, and manipulate and send files to that PC. It only allows for single profile work. as soon as you sign out, the session is closed, so any profile administration has to be done locally. depending on the group policy applied, GoToAssist can be locked out of any administrative action. as long as you don't need to work on many profile issues remotely, i recommend this tool highly. however, if you need something more robust that can work through the domain, i recommend elsewhere. working on remote user's PC [out of state] allow us to have support for users that would normally be outside of our support zone. beyond that, it allows for quick hands on look at issues that otherwise would need to be relayed over phone or email. "Great way to collaborate on documents"
The ability to remotely annotate and comment on a document view by all parties. Much better than google docs which we used before that. The fact that we can also share screen is helpful, but can be a little confusing to use if one party isn’t good at it. With a good internet connection and a good computer, this product will save you and your clients a lot of traveling time. Need to be slightly tech savvy (so face to face will still be necessary with older clients), but definitely a product I recommend if working remotely. No need to have face to face meetings, which is great considering most of our clients are not, and do not wish to go downtown. It is a huge timesaver for them, and also for us. "Just sign in and assist where needed"
GoToAssist is a turn key "cloud" based remote desktop tool that is available 24/7 for your "any hour" customer support calls. It has helped me cut business expenses, while being able to give reliable remote support to my customers. Currently GoToAssist has fixed the Mac / Citrix errors that many were experiencing a few months back. Other than those periodic crashes with a previous Citrix release, all has been working great! If you are debating signing up for a Remote solution for your customers, GoToAssist is one of the most affordable options that you can find, paired with reliable and professional software. Don't think twice, start working more efficiently so that you can service your customers in a faster manner. I can make money while on the road, and juggle multiple customers while being in a single place. I can also deploy remote sessions with customers without having to direct them to have to install any complicated software ahead of time. This program worked good. We used it for years, and they worked with us pretty well on pricing. Support is OK and the service is pretty reliable. We didn't experience many outages over the years. There were issues with connecting. We use a lot of other support companies who seem to be able to connect to us using a click or 2. This application was cumbersome and required a lot of interaction from the client in order to get us connected. Another major issue was issues with Windows User Access Control (UAC). There were times where if UAC was off, we couldn't control anything that required an admin prompt. It was very frustrating. It's really a good product. Give it a shot, but there are some shortcomings and with so many new options out there and other types of remote support, I suggest you look around and see what else you can try and find. Otherwise, give gotoassist a shot. We handle everything for our clients, so having a good remote solution is critical to minimize down time and maximize efficiency. I have used many remote assistance solutions and GoToAssist is one of the easiest for both me and customer. It's easy to get connected and the performance is as I'd expect. It's as if the 'expert' is sitting at the desk of the customer. I can't say that there is a lot that I don't like. The mobile app does leave some to be desired but all in all, I don't have any real criticism. I believe if you try other related software and solutions, you will find that GoToAssist does remote assistance and remote desktop viewing in a more superior manner than others. The ease of use, the ease of installation, the features that it provides exceed that of the competition. I have users that work remotely and having the ability to view and interact with their screen is something that's invaluable. It cuts down the time that it takes to troubleshoot an issue while getting the end user up and running ASAP. "Quick and Easy, Reasonably Secure"
I still remember trying to give tech support to people over the phone, when they couldn't connect to AOL because their 2600 baud dial-up modem wouldn't connect to AOL. So the main thing to like about it is how easy it is to talk the customer through an install (assuming it's not already there) so that they their confusion can be removed from the equation. There's nothing to dislike. Adding features that would make things even faster and more convenient for legitimate users would be way too easy to exploit. Again, the problem of the confused end user is eliminated when using any VNC, because it allows for true remote support. "An Excellent Program for Remote Support"
It is very straight forward and easy to use. Remoting into a workstation for a customer takes less than 2 minutes. I honestly cannot find anything that I can say negative about the program. I've used it for over 4 years now in the course of my duties, and it NEVER fails. For an easy to use, user friendly remote support software, GoToAssist takes the cake! You cannot go wrong with them. Remote access is 100% a requirement for the company. This gives us easy access to the customer and allows technicians to rectify any issue they might have with our software. Shadowing almost anyone - some sites have this blocked. I dislike that some sites block the 'fastsupport.com' website, and we aren't able to shadow some end users. Learn how to share your session link when you need help. This will benefit you in the long run. I'm helping with front end application issues. We are able to shadow end users and actually see what the issue is. I love being able to flip the sharing session and show my screen to others. I can show data on tables they wouldn't normally have access to. "GoToAssist is Functional and Light"
I like how unobtrusive GoToAssist is. It allows you to assist clients in an efficient, thought-out manner and there are always multiple ways to get certain tasks done. The direct file sharing feature is a personal favorite. The code generation is also very easy and repeatable, thankfully. There honestly is not that much to dislike about GoToAssist. It can be pushy about password changes, given how ineffective that can be at times. The lockout feature is a tad annoying as well. However, these are minor quips and easily forgettable. It's super easy to use. Give it a go. I've been able to deliver fast, efficient service to my clients and this allowed them to perform their functions in a better way as well. It's a straightforward program to use for both ends as well. You can be an expert, you can be a novice, either way, you'll be able to use this product. "GoToAssist (FastSupport) is a simple but yet robust tool that meets my remote desktop needs"
"The remote support solution to try"
My favorite feature out of the many that GoToAssist offers is mobile device support. We were able to provide support from our line of Iphones across the company. Configured many, many user devices with it. Some of the simplest things to do users have issues doing on the phone and without remote support trying to just talk the user through troubleshooting can really be quite difficult. Honestly I can't think of a single thing. Its even better that you can support eight users at once. Price point is definitely fare for everything you get for that amount. Worth every penny from my point of view. Easily would say this is the most advanced remote support solution. Worth looking into and they even offer different pricing options to find whats best for you. Can go annual or monthly. Have every feature and more that any similar software would have. Remote support for all the users in the company where I would not need to be right at the users desk to troubleshoot or even walk through troubleshooting over the phone. Able to just remote into their machine and correct what needs to be corrected. File transfer features proves to be super helpful for files too large to email over. We also used to manage machines not used by users, and to install software, updates, etc. functionality of diving into someone's computer and taking control with no latency and no interruption. Perfect for presentation and remote software implementation. I used it a lot for NetCrunch monitoring software in the past. With other solutions I had problems during the presentation because what I was discussing during the demo was not synchronized with the customer's desktop and this caused some misunderstanding. With GoToAssist this happened only some time but mostly the issue was due to my connection. Ease of Use Intuitive Offers other built-in tools. If the computer is rebooted, the connection remains active that's was perfect for me because customer could leave the desk without any problem I I could finish my work with zero pressure. Software implementation . Sales presentation. Super easy to use from the tech support side and easy for our customers to reach out to us. There are away settings and plenty of other settings for the user relating to speed and appearance. I do tech support for a software company and our customers use GTA / Live Help so that we can access thier PC remotely and help troubleshoot the issue. Once a session is established, the software works reasonably well at controlling remote PCs, transferring files, and delivering basic chat functionality with end user. This product is unreliable. Frequently disconnected from running sessions, frequently unable to login, un-attended systems fail to respond to connection requests. In delivering real time support to end users this created unnecessary frustrations and delays on both sides. This is why I actively recommend not using this product. Find a better product than GoToAssist. We deliver remote support within our managed IT services practice. This product meets the basic requirements to service this business need. The tool can be easily accessed by clients to give us access. I like the send file and get file feature as well as the diagnostics control panel that shows all the stats of the computer. "GoToAssist works well for my customer support group to help connect with clients"
I like that it allows me to see what the client sees while troubleshooting an issue. The performance is great, there is very little latency when moving the cursor, etc. I also like the ability to transfer the clipboard and send files, which is very helpful. Some feedback we have received from clients has been that it's not simple to get connected, depending on browser and firewall settings. Some clients click and connect, while others are presented with several browser-based popup warnings and the inconsistency makes it tricky for our support staff to direct them. If you require unattended access it might not be the best solution, but if you need real-time collaboration with a client to help them it works great. One challenge our business faces is that the software we sell serves a very specific purpose and it can be difficult for new users to get used to how to use it. It can save a lot of time to call the client and see the issue in real-time as opposed to relying on email descriptions and screen shots to help them get on their way. Unattended support. In my domain we setup our PC's for unattended support. As long the system is on, we are able to remote in without asking the user to clicking on a link or going to www.fastsupport.com and putting in a support ID number. The chat feature is great when communicating with my users when provide updates when working on their system. More of a gripe. When supporting a user, then connects to VPN. The session freezes. The session sometimes disconnect and doesn't resume. Yes. It's a great product. Very easy to use. Anything related to IT Support issues. Software installation and removal. Virus scans and email phishing remediation. "Simply and easy to use"
how easy it is to you. view unattended computers so you can remotely connect by searching the computer list, you can also have users go to a website and enter a code to quickly get you connected to their pc. have had some issues of service being down so i was unable to connect to pcs due to gotoassist server issues. i also have had issues with recent updates that cause me to have to try and connect to an unattended pc a couple times to get a connection established. its simple and easy, i like it a lot for remote support. working remotely from home on snowy days, and connecting to a remote site in another state. this makes it easy to help solve network, printer and software problems without the 4 hour drive. "Citrix GoToAssist good for remote conections"
Once you got installed it, which is a quite easy to to job (I have installed it on a Windows 10), remote session had a quick response and I was able to log in in cloud easy. You don't care about IP or other stuff related to this. Citrix is finding it's way to make himself work. You will be able to find a fairly friendly interface, which will let you generate one time codes that you can send to the one you want to connect with and that can expire after 20 minutes. It is quite a nice tool to work with. More info on how to do screen sharing when I want to share my screen, as i didn't had the time to explore FAQ, and maybe some pop ups would have been helpful for the first time you use it. And i would say that this can be expanded for almost all of the features (eg. drawing), just a first time pop up or responsive screen that can guide you when you try to do something. I have use this for quite some time and I would still use it, but i have changed the company. It is robust and it is doing it's job as it was intended. Also I think it is one of the best solutions for medium to small companies, being affordable is quite a big plus for this product. Used to connect with remote customers to troubleshoot or make maintenance to some other remote clients. * We monitor all RescueAssist reviews to prevent fraudulent reviews and keep review quality high. We do not post reviews by company employees or direct competitors. Validated reviews require the user to submit a screenshot of the product containing their user ID, in order to verify a user is an actual user of the product. Hi there! Are you looking to implement a solution like RescueAssist?